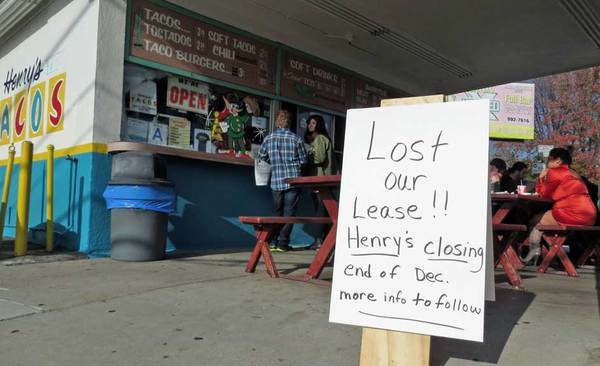 Well, you at least tried with your "Save Henry's Tacos" entry. Good Riddance! Who the hell wants to eat sloppy joe ground beef tacos and salsa with no taste? Who is the landlord and how do we contact him directly?